In Star Wars: The Force Awakens, the Millennium Falcon uses its hyperdrive to jump to hyperspace. 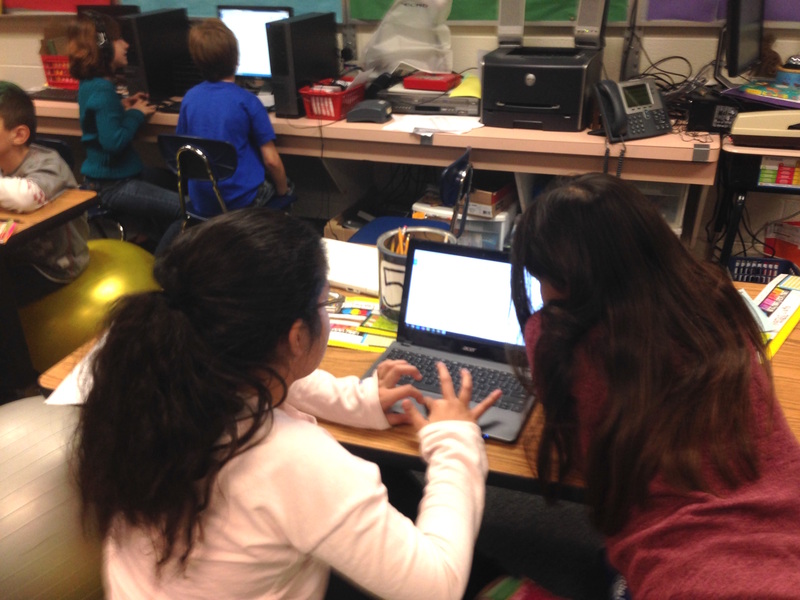 In my classroom, my students jump out of their seats when they get a chance to work on HyperDocs. 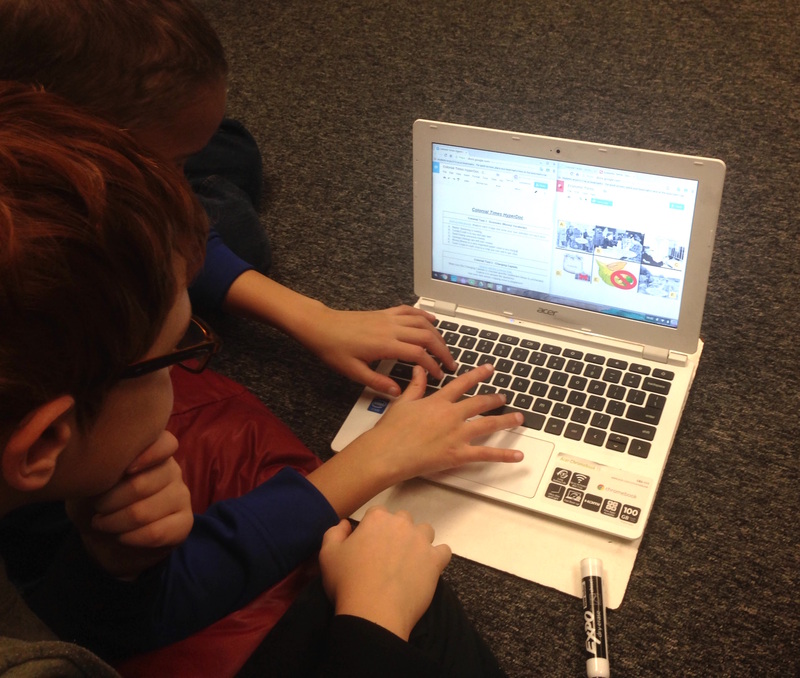 HyperDocs are Google Docs that are self-contained lessons or units. The idea was developed by Lisa Highfill, Kelly Hilton, and Sarah Landis, and has taken hold in modern education. They contain questions, with links to videos, infographics, websites, or other resources to help the students discover new information. HyperDocs also contain tasks for students to complete, such as creating a Google Drawing or a Google Slide deck. In my classroom, we’ve used HyperDocs as our primary manner of instruction in our history class, including this HyperDoc on Colonial Virginia and this one about Virginia’s role in the American Revolution. I personally love using HyperDocs. It holds me accountable by requiring me to plan out my entire unit rather than planning day by day, which helps me to ensure that the unit flows well together. It also allows me to critique my work and lesson delivery. In past years before I discovered HyperDocs, I delivered most of my instruction through slideshows, lectures and class discussions, and pictures and video. While this isn’t inherently bad, it didn’t allow for much variance in the modality that they would receive information. Now, between three units, students have explored various websites, toured interactive maps, sorted descriptors and terms, and many other ways of learning new things on their own terms. A new favorite that will make a second appearance in our next unit is a talking head. Using an iPad app, I record myself explaining why historical figures are important. I locate a picture of each person and the app animates the mouth to move with my words. The laughter of the first student to reach that section helped serve as a tremendous hook to others. Now I know what you’re thinking. Couldn’t you play the head on the Smart Board? Of course you could. But by putting the talking head in the child’s hands, they can watch it as many times as they need. Think of your class. One student may find the humor in it, but still retain the information. Another may find it funny seventeen times before they truly understand it. If you’re watching it as a class on the Smart Board, the teacher is in control and each student won’t get a chance to rewatch it until they fully understand it. HyperDocs allow me to assess students’ understandings as they go along. I open each HyperDoc on my Chromebook and cycle through them as they are completing them. I open the chat box and remind them to keep working or leave them comments on their work to encourage them to recheck a response. Sometimes my students complete HyperDocs in partners, and I give them positive reinforcement for displaying good partnership. HyperDocs allow me to give quick and immediate feedback to each student, which is nearly impossible to do in a whole group setting. Students can work at their own pace and differentiate as needed. Some students may have a strong amount of background knowledge in a topic and can move quickly, while others may need to take more time. There are Chrome extensions that read text to students, so all students are able to participate. Generally, my HyperDocs include five to seven tasks for students to complete. I reason they can complete two tasks a day, so I base the allotted time on that, plus one day for wiggle room. When a student finishes their HyperDoc, they notify me. I check it over, suggesting any final corrections or giving them the go ahead to move ahead to the review section, which includes online flashcards or Jeopardy games of the newly learned material. I encourage you to try a HyperDoc in your class. You can search the web for pre-made ones, or develop your own! They are very easy to create and the payoff is limitless, considering the ability for students to self-pace and receive individualized and immediate feedback.